The 1st contender is Tiffany Fuentabella who is taking up Education major in English. She is a founder of fuentabella organization for LGBT and also works as a freelance model, make-up artist and an online business owner. The next contestant is Queen Roy Sagaysay who is a graduate of Political Science. She was an honor student in high school and is working as a freelance choreographer, and make-up artist. Last but not the least is Maria Francine Tompkins who is currently a student at alternative learning system. She is a volunteer youth advocate and is a breadwinner of her family. When the 1st question is asked, Tiffany immediately got the correct answer and will advance in the 2nd round. On the other hand, Queen Roy and Francine struggled to guess the exact answer for the proceeding questions. However, contestant no. 3 finally gave the exact answer for the 7th question and will also advance in the next round while contestant no. 2 is eliminated. Tiffany is called and her question says; if marriage is not like rice that we eat, what is it? She answered that marriage is sacred and you will face struggles but you will overcome it if, you are there for each other. Francine is the next one to be called and her question says; if you got married so early, what is the exact time? She said that it must not be base on time and only God has the power on when is the right time. 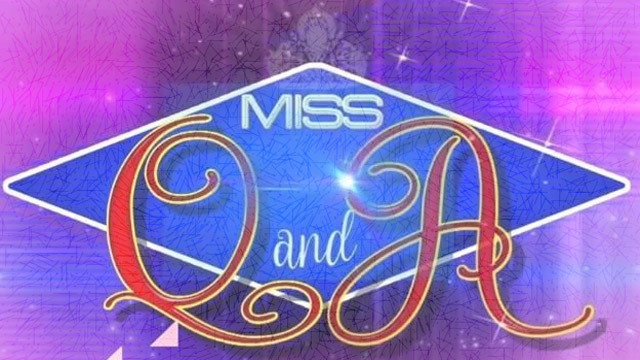 Based on their answers, Francine will go head to head with the reigning queen. Francine and AR are going to answer the question that says; in the country, which is harder to find, work or love? The daily winner chosen work is harder to find because most of the unemployed lack education so, the Philippines must have enough budget for it. Meanwhile AR stated that a job can be found if you are patient and love can find you. After a deliberation of judges, AR is still the reigning queen.